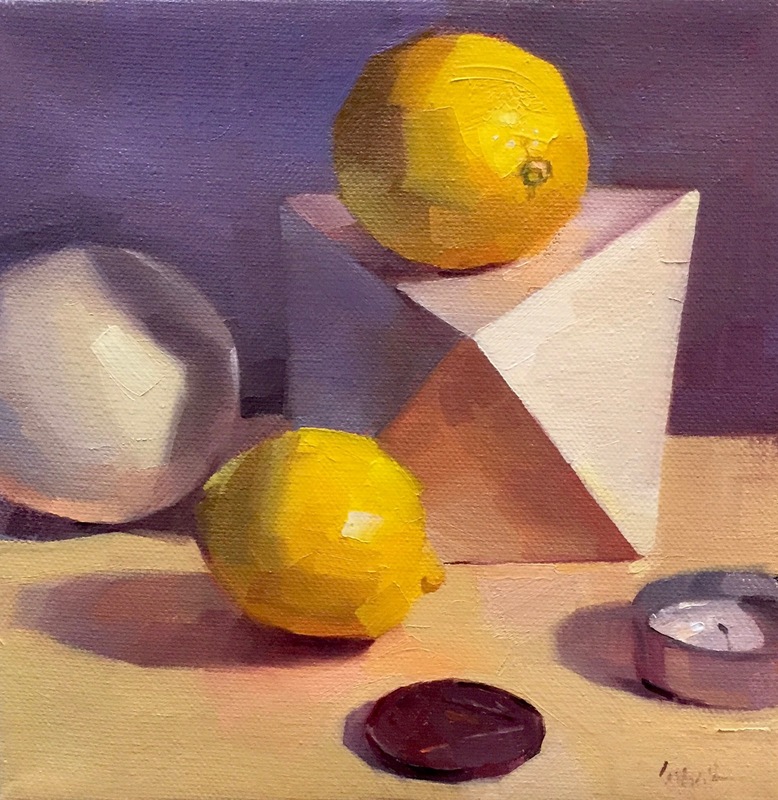 One of my favorite workshop exercises is painting an all-white still life using NO white paint. Instead, we mix a chromatic scale from yellow to purple and paint with that. It works! And it's amazing how much you can do, in a painting, with how little white paint. I'll be doing that exercise again soon, during my "Mindful Mixing" workshop, here in Eugene, February 20th and 21st. Spaces are still available, and all the info is here. My painting process of late has included an oil sketch in black and white - but this time, I broke out my no.2 pencil! I do a lot of pencil sketching, actually. And I started a new Pinterest board to showcase my daily drawings!